The 1994–95 2. Bundesliga season was the twenty-first season of the 2. Bundesliga, the second tier of the German football league system. This was the last season in which two points were awarded for a win. From the following season onwards the league moved to a three points for a win system. F.C. Hansa Rostock, FC St. Pauli and Fortuna Düsseldorf were promoted to the Bundesliga while 1. FC Saarbrücken, FC 08 Homburg and FSV Frankfurt were relegated to the Regionalliga. For the 1994–95 season Fortuna Düsseldorf, FSV Frankfurt and FSV Zwickau were newly promoted to the 2. Bundesliga from the Oberliga while 1. FC Nürnberg, SG Wattenscheid 09 and VfB Leipzig had been relegated to the league from the Bundesliga. ^ 1. FC Saarbrücken were denied a license due to financial problems and were therefore relegated. ^ a b FSV Frankfurt was relegated to Regionalliga Süd. 1. FC Saarbrücken, and FC Homburg were relegated to Regionalliga West/Südwest. 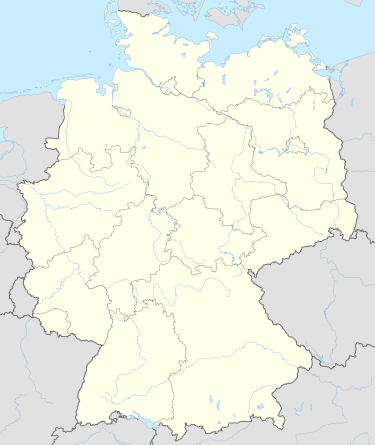 ^ The VfB Leipzig v Chemnitzer FC match from 11 June 1995, which finished with a score of 2–3, was annulled by the DFB and was required to be replayed due to VfB Leipzig player Ronald Werner being wrongly sent off by the referee. The replay took place on 14 June 1995 and finished with a score of 1–0. However, the decision to replay the match was overturned by order of FIFA in July 1995, with the original score of 2–3 standing. ^ The 1. FC Nürnberg v SV Meppen match from 25 February 1995, which finished with a score of 2–0, was later awarded to SV Meppen with a score of 0–2 due to 1. FC Nürnberg having more than the three allowed foreign players on the pitch. ^ Rösing, Patrick (28 October 2013). "Aus dem Stadion ins Gericht" [From the stadium to court]. spiegel.de (in German). Spiegel Online. Retrieved 7 May 2018. This page was last edited on 21 June 2018, at 13:44 (UTC).